Perth’s Optus Stadium is an exciting 60,000 person multi-purpose stadium hosting all your favourite events: Rugby League, Rugby Union, Australian Football League, International and Big Bash Cricket and concerts. Now just a leisurely 15 minute walk from The Royal across Matagarup Bridge. Optus Stadium prevents Ubers from dropping passengers at the drop off zone. If you do catch an uber be prepared for a 2km walk to the stadium. Best option? Uber to The Royal for pre event drinks & a bite and make the stroll to the stadium. 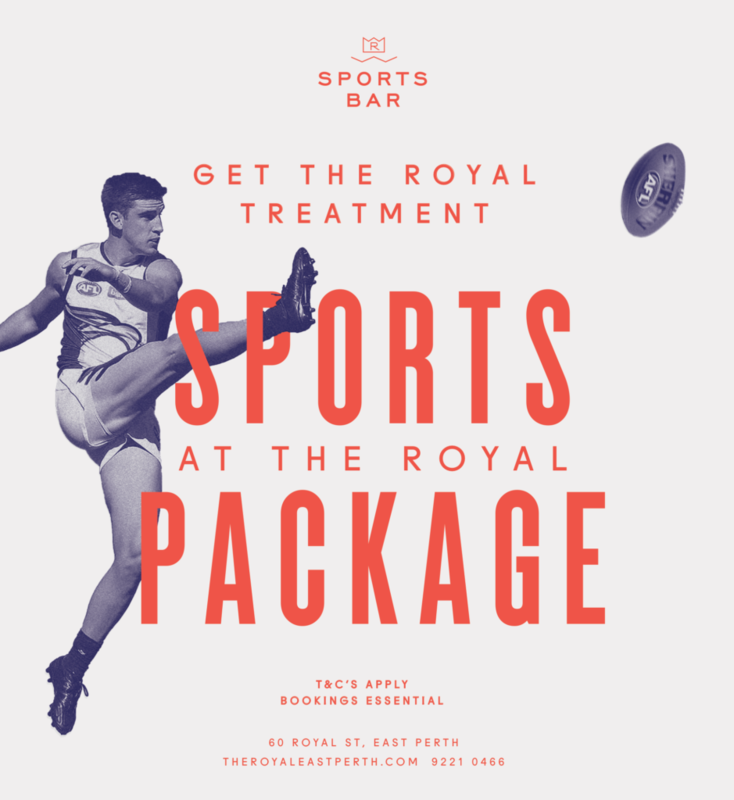 The Royal sports bar is East Perth’s number one venue for pre and post-match events. To celebrate all things sport we’re offering a range of pre and post-match function packages. For a reserved area, private screen, pizza and bar tab, view our Sports Bar packages. WARNING: Under the Liquor Control Act 1988, it is an offence to sell or supply liquor to a person under the age of 18 years in licensed or regulated premises or for a person under the age of 18 years to purchase, or attempt to purchase, liquor on a licensed or regulated premise.